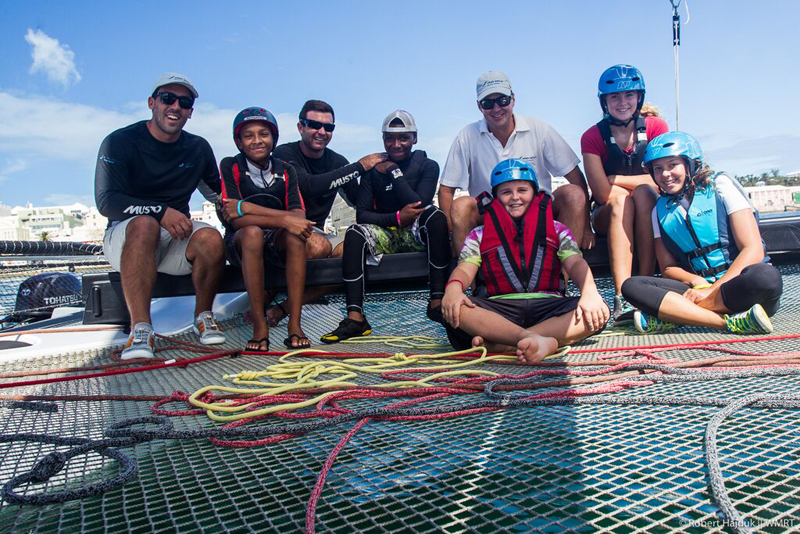 On Saturday [Oct 10] Argo Group CEO Mark E. Watson, III, took ten school children from around Bermuda for the ride of their young lives aboard an M32 catamaran. Argo Group CEO Mark Watson with a Bermudian schoolboy. 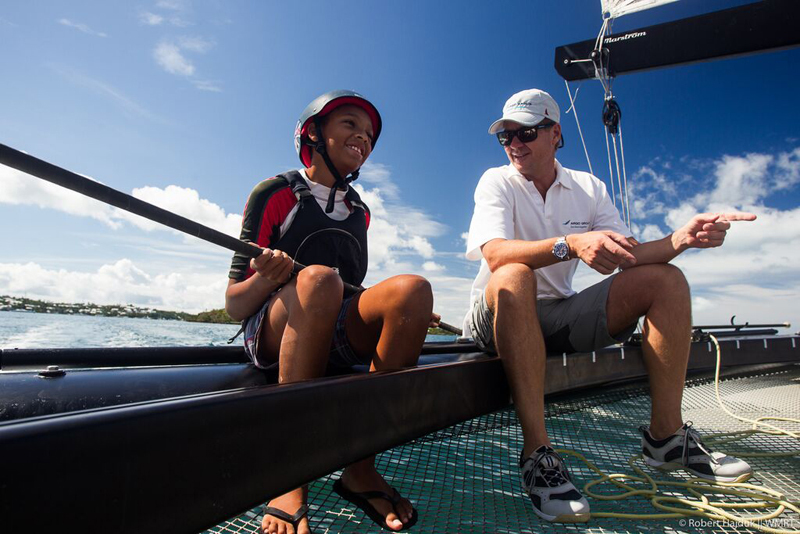 Through the Argo Foundation the company also supports local community endeavours such as the Bermuda Sloop Foundation, the Sea Cadets and the Ocean Academy at BIOS, all aimed at giving children an opportunity to learn about sailing. Argo’s core values are based in team work, self assurance and crossing social boundaries, all qualities that Watson, a successful amateur sailor, feels are well represented in sailing. The children buzzed around Hamilton Harbour aboard a new M32 catamaran, a lightweight, high-performance sailboat made of carbon fiber and featuring a mainsail and gennaker. The children got to helm the boat and trim the sails under the guidance of Watson and round-the-world sailors Charlie Enright and Mark Towill, both of the U.S.
“Sailing is part of the fiber of Bermuda, so giving these future sailors a chance to sail on the M32 was a thrill, especially sailing with Charlie and Mark, two sailors at the top of their game,” Mr Watson added.